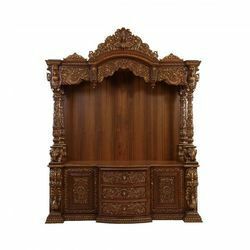 Pioneers in the industry, we offer teak wood swing, teak wooden mandir pallaki and antique teak wood temple from India. 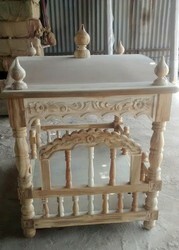 Antique crafted Teak wood swing for your house, temple. Wooden Pallaki made in teak. Turned, carved wood with an antique Indian touch. Size as per the order customization. PU polished with natural or colour coatings as per your choice. Packaging Details: As per export standards, pallet packed with thermal sheet inside. Antique 3 dome wooden temple made in pure teak wood. PU polished with intricately carved details.